loooong time, playing back to back with One Peso out of San Diego in California. hosts EarthLink Sound now featuring a new selector Kritical and the one and only original geezer DJ Sorted. 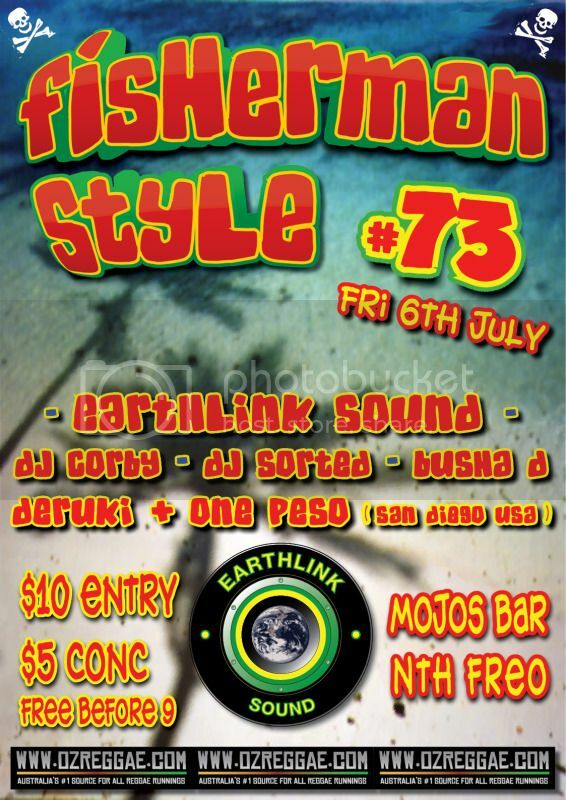 Runnings start from 8pm with entry free until 9pm then its $10 pressure on the door. Reggae music to di world!!!! !